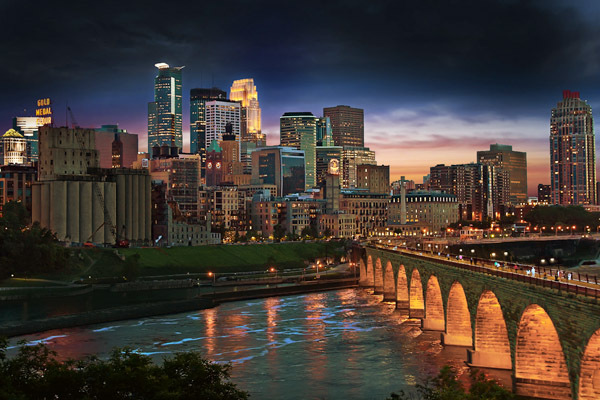 Please join us this year as we hold our 71st Annual Technical Conference in the City of Lakes—beautiful Minneapolis, MN, March 17–20, 2019. I’m pleased to report that this year we are partnering with the Inter-Society Color Council (ISCC) to broaden the scope of our content and to present a diverse set of papers on the latest scientific and technical innovations in print and color. As always, the Annual Technical Conference (ATC) promises to be informative and perhaps challenging, as top researchers in the field present their ideas and innovations. The ATC provides a forum for an open exchange of ideas, with animated discussions between attendees and speakers. For over 70 years, TAGA has met its mission “to provide a worldwide forum for sharing and disseminating theoretical, functional, and practical information on current and emerging technologies for graphic arts print production and related processes.” We had a terrific response to our Call for Papers this year and have curated an outstanding collection of scientific papers on topics ranging from inkjet, textiles, inks, substrates, and expanded color gamut, as well as measurement and process control. On the technology side we feature presentations from a number of InterTech Award winners, showcasing the latest cutting-edge innovations. And we kick things off with a series of dynamic keynotes on topics as diverse as 3D imaging, transmedia campaigns, color perception, and how our brains respond to and interact with print. As an educator, I particularly value the considerable involvement of our student chapters at the conference. Each year students from the U.S., France, and Canada compete for the Helmut Kipphan Cup awarded to the best student journal as judged on its technical content, design, and print execution. All attendees receive copies of the student journals and have an opportunity to interact with these talented, bright young minds preparing to enter our workforce. The enthusiasm these students bring is one of the highlights of conference. I urge you to join us for the TAGA Annual Technical Conference—where you’ll enjoy outstanding technical discussions; network with professionals, academics, and students; and have the opportunity to explore Minneapolis, a city renowned for its beautiful lakes, shopping, art museums, and craft beer. The Papers Committee has worked hard for the last half year to ensure a good balance of topics in the conference’s keynotes and technical papers. This is a strength of TAGA, with the range of presentations including color, print processes, workflow, packaging, print evaluation, security, environmental impact, and new technologies. Our partner in this year’s conference, the Inter-Society Color Council (ISCC), has contributed to this diversity. TAGA has many authors that will be speaking for the first time, an endorsement of the outreach of the organization. They bring in an exciting mix of topics and offer new insights into many research areas. Altogether there will be 40 presentations. The TAGA Annual Technical Conference provides the perfect forum to understand the future direction of the industry. This is where many cutting-edge research topics have been first presented and this year is no exception. One developing area that will be well covered is extended color gamuts. Recent innovations that strengthen the value of print will also get attention. You should come away from the event with a much clearer focus on where we are going as an industry and the potential these and many other technologies offer. Exciting times are ahead. While it took longer than expected, the 2018 Proceedings book is now available to members and for purchase. This book is compiled of research papers presented at last year’s Annual Technical Conference. There are two versions of the book available. The extended abstracts version ($75 for members/$150 for non-members) has the printed abstracts and an attached CD-ROM containing the full papers and conference presentations. The other version contains printed copies of the papers ($100 for members/$200 for non-members). 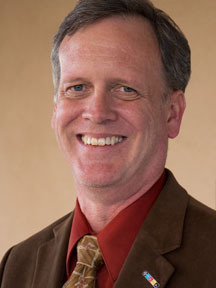 You can find information on how to order the books at https://www.taga.org/store/. Of course, if you were a TAGA member in 2018, we already shipped you a copy of the extended abstracts book in late December. All 2018 papers have been added to our online repository and are available through our abstract search. In order to access the full PDF papers, you will need to log in so the system recognizes you as a member. If you need help with your login information or didn’t receive a copy of the extended abstracts book, please contact John Bodnar at taga@printing.org. The ISCC (Inter-Society Color Council) is partnering with TAGA for the 2019 Annual Technical Conference in. The ISCC is the principal professional society in the field of color in the United States, encompassing the arts, sciences, and industry. The ISCC was founded in 1931, and TAGA is a longtime Member Body of the ISCC. The ISCC conference team has teamed up with TAGA to provide two keynote speakers and two paper sessions. One of the keynotes will connect to the 100th anniversary of the Bauhaus school in Germany: Interacting with Color: The Art and Teaching of Josef Albers, presented by Fritz Horstman, Artist Residency and Education Coordinator, Josef and Anni Albers Foundation. The ISCC-organized technical presentations will include sessions on digital textile printing and color literacy. The ISCC Annual Meeting will be held during lunch on Monday, 3/18/2019. The Annual Meeting will include award presentations and annual reports for the ISCC. The ISCC is also hosting a webinar related to the conference content. The webinar is free and open to ISCC members and non-members alike. One of the featured papers at the 2018 Annual Technical Conference was authored by Mustafa Bilgin (left) and Johannes Backhaus (right) of the University of Wuppertal (Germany). The research delved into the ability to print stimuli-responsive inks via piezoelectric inkjet printheads. These stimuli-responsive inks can report—by color changing—different environmental influences such as water/moisture, temperature, UV light, etc. In addition they have the potential to be used as an intelligent code that is able to communicate with the Internet of Things. This seminal research demonstrated that stimuli-responsive dyes can, in fact, be compounded into an ink usable in inkjet heads and that the binary nature of these dyes still works when printed. The research provides valuable insight into how these inks need to be formulated for inkjet. 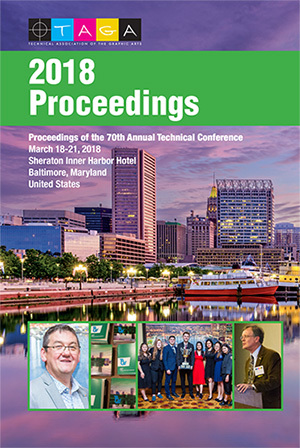 Members can read the paper in the 2018 TAGA Proceedings (page 101 of Proceedings CD) or access it via the online abstract search (must log in to download the full paper).